If you’re thinking of upgrading your ride but aren’t sure which of the many options are right for you, our guide to the differences between Chevrolet trucks is here to help. Learn about the differences between the 2018 Chevrolet Colorado, the Silverado 1500, Silverado 2500, and Silverado 3500 models and, when you’re ready to make your choice, speak to an associate at Chevrolet of Naperville. Chevy Silverado 1500: Three capable engines that include the 285-hp 4.3 L V6, the 5.3 L V8 capable of 355 hp and the 6.2 L V8 that puts out 420 hp and delivers up to 12,500 pounds of maximum towing capability. Drivers can also take advantage of available features that include an automatic locking rear differential, 4WD, Hill Descent Control, integrated trailer brake controller, and more. Chevy Silverado 2500: The heavy-duty Chevy Silverado 2500 gives drivers access to a 360-hp 6 L V8 engine or a turbocharged 6.6 L diesel V8 engine capable of as much as 910 lb.-ft. of torque and maximum Fifth Wheel trailering capability of 18,100 pounds. Chevy Silverado 3500: The super duty 3500 HD is powered by either the 6.0 L V8 gasoline engine or the 6.6 L turbodiesel V8 engine and is available with single or dual rear axles for a maximum towing capacity of as much as 23,300 pounds. Find the perfect match for your next Aurora adventure at Chevrolet of Naperville. 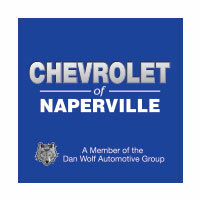 Contact us at (630) 246-4639 or visit our showroom at 1515 W. Ogden Ave in Naperville, IL. We can even help you stick with you Chevy Silverado maintenance schedule.